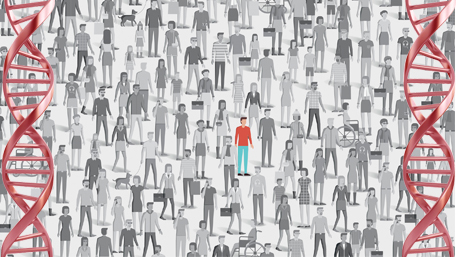 There is no standard definition of rare disease, but, overall, a disease is considered rare when it affects fewer than 7 people out of 10,000 in a given population. Between 5,000 and 8,000 rare diseases have been identified in the world, and approximately 80% of them have a genetic origin. Despite the suspected large number of adults and children affected by these rare life-threatening or disabling conditions, estimates of the public health burden of rare diseases are still unreliable. It may well be that sheer fragmentation makes rare diseases virtually invisible to many public health researchers. Now, let us assume that we can make the burden of rare diseases visible on a large scale. Then, what is next for public health? What should be the societal response? Through the years, both the societal and public health responses to rare diseases have been substantial, although still insufficient. We discuss ways to improve these responses, but first we highlight ongoing large-scale activities that address rare diseases collectively: newborn screening, legislation, and formulation of national plans or strategies. Newborn screening started in the United States more than 50 years ago with testing for a single genetic disorder (phenylketonuria). Today, newborn screening is a complex public–private system that involves education, diagnosis, treatments, follow-up, and evaluation. In the United States, the number of genetic, metabolic, and other disorders recommended for testing either in dried blood spots or through point-of-care testing has grown to more than 30. By focusing on mostly rare, serious conditions for which there is evidence that outcomes can be prevented or ameliorated by early intervention, newborn screening has brought tremendous health benefits to the individuals affected, their families, and society at large. Responses to the burden of rare diseases have also benefited from the interaction among organizations of patients, advocacy groups, researchers, and government officials. Practically, this interaction has no equivalent in other areas of biomedical research. It has produced legislation, public policies, and availability of funds for research, all of which have generated an environment that is amply favorable to sustained research and public health actions seeking to diminish the burden of rare diseases. For example, the Orphan Drug Act passed by the US Congress in 1983—legislation aimed at encouraging development of new drugs for rare diseases such as fragile X syndrome, Tourette syndrome, and Duchenne muscular dystrophy—was the result of such interaction. Today, various forms of legislation and policies aimed at facilitating research on and access to orphan drugs exist in at least 35 countries. Rare diseases have also garnered enough attention that some countries have developed national plans or strategies comprising priorities, policies, actions, timetables, and even budgets dedicated to reducing the burden of rare diseases. Notably, the European Union has designated as a high priority the implementation by its members of national plans or strategies for rare diseases. These plans generally call for equity in access to diagnosis and provision of specialized and continued care for people affected by a rare disease. In our view, given that 80% of all rare diseases may be caused by genes, genomics is a necessary addition to the public health response to the burden of rare diseases. The discovery of the genomic underpinning of rare diseases is advancing rapidly as more patients and their relatives undergo genomic testing (e.g., whole-genome or whole-exome sequencing). With the use of standardized codes in health databases and electronic health records that incorporate diagnostic testing, researchers can track more precisely the burden of rare diseases in a population, at least for the subset of rare diseases that can be mapped to specific ICD codes. For example, to date, researchers have found underlying molecular causes for more than 4,000 Mendelian conditions, and this number is expected to grow in the near future as a result of efforts such as the Exome Aggregation Consortium and the Undiagnosed Diseases Network. 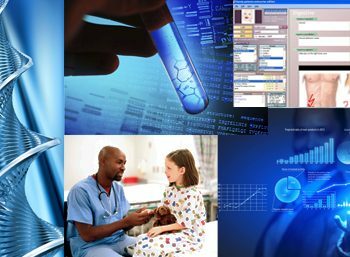 Genomic diagnosis can also help end the “diagnostic odyssey” (i.e., an extended delay in receiving a definitive diagnosis and appropriate medications experienced by many patients with rare diseases) or stop the use of ineffective therapies. A public health response to rare diseases needs a framework to operate in a coordinated manner. One such framework that has been proposed contains nine elements that can be distilled into five overarching components: (i) assessment of burden—numbers of affected individuals, health outcomes, quality of life, health-care use, and economic costs; (ii) research on preventable causes and effective treatments; (iii) systems for screening and early identification; (iv) empowerment and education of people with rare diseases, families, and health-care providers; and (v) public policies to promote access to services and treatments for people with rare diseases. Naturally, the focus of this public health framework should be rare diseases or elements of their sequelae that can be prevented through population interventions. However, as is the case of many genetic diseases, primary prevention is not always possible for rare diseases; therefore, we must consider secondary prevention a key element of this framework. We are also interested to get input from our readers on the public health response to rare diseases.